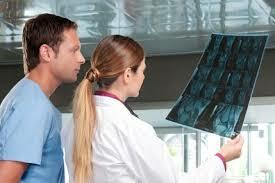 Have you decided to pursue a career within the medical field? Are you completely overwhelmed by the many, many choices that exist within this industry? Do you feel like you've spent hours studying and searching through your college catalog so that you can say you've made the most informed decision possible? Well, don't fret, continue reading below so that you can learn what you need to know about one very viable option. As an x-ray technician you will have the chance to experience a significant amount of employment growth in this field over the next several years. You can expect to spend the majority of your time performing diagnostic testing on a patient in order to accurately determine medical issues that they are dealing with. On any given day in your capacity as an x-ray technician you will be expected to begin your services by explaining the testing procedures that you will be performing on them. Keep in mind, the diagnostic tests that you will be performing on a patient will be based on the doctor's orders as they are administered. After properly performing the diagnostic testing on your patient you will be expected to develop the results for the ordering physician and to send the results to the doctor for interpretation. In addition, you will be expected to update the patient's medical chart to reflect the testing that you have conducted. Although it is not necessary to choose an area of specialty within their x-ray technician training program, by selecting an area of focus you will likely increase your chances of gainful employment. Regardless of whether you choose an area of specialty or not, there are several different areas of employment that you can choose from. For instance, you can work within a hospital setting, at an outpatient type center, at a surgical type center, or perhaps even at an extended care facility. In some of these situations you can likely expect to work a typical work week, as opposed to working shift work that may require you to work weekend, evening, or holiday hours. In addition, if you would prefer to only work on a part-time basis due to family obligations or other factors, the profession of x-ray technician will allow you that flexibility. It is important to note that in order to be qualified to work as an x-ray technician you can expect to be required to obtain licensure. In most cases this will consist of you completing a formal degree program and earning a passing score on an examination that is mandated by the state that you live in. It is probably a good idea for you to check into what is required by your state of residence, so that you will be working on an accurate track of licensure. Keep in mind, you may find it necessary to continue your learning even after you have begun your work in this field. In addition, you can expect to be required to complete continuing education hours to maintain your licensure.